It's a shame that Tony Stark (Robert Downey Jr.) and Steve Rogers (Chris Evans) didn't share notes from the events of their last films. In Captain America: The Winter Soldier, they found themselves fighting SHIELD/Hydra who created enormous sky carriers that could prevent threats before they became dangerous. Here, Tony Stark convinces Bruce Banner to work with him, in secret, to create Ultron, an artificial intelligence, who could protect humans from future attack As Rogers eventually warns Stark, people die every time you try to stop a war before it starts. There's an assumption that you've kept up with all the latest Avengers films here, and that you generally speak the Marvel Universe's language. Very little exposition is provided. After an opening sequence in which the Avengers attack a compound in Sokovia to secure Loki's scepter, we meet Pietro (Aaron Taylor-Johnson) and Wanda Maximoff (Elizabeth Olsen), otherwise known as Quicksilver, and Scarlet Witch. They're super powered twins with a grudge against Tony Stark. One has the power of speed, and the other a handful of abilities including seeing into a person's mind. While at the compound, she invades Stark's mind leaving behind an image that makes him further fear what could happen should another alien attack occur. 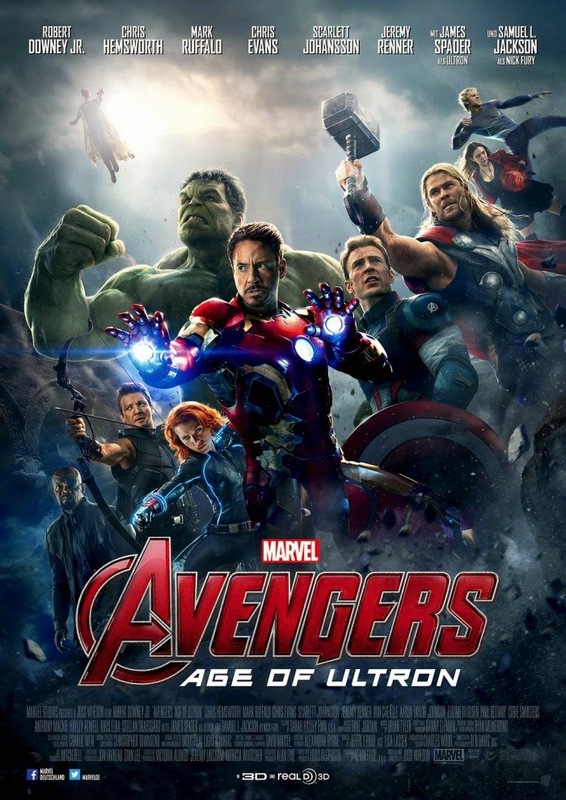 With the reluctant help of Bruce Banner (Mark Ruffalo), he creates Ultron, an artificial intelligence, they hope to be capable of stopping a future alien invasion. Protecting humanity being his number one priority, he finds everyone, especially the Avengers themselves, a threat. He sees the imperfections in humanity. Through quick study of the internet, where Romanoff (Scarlett Johansson) dumped all of SHIELD's files in the second Captain America film, he learns the Avenger's dirty secrets too. In the first Avengers film, everyone had to learn to overcome their differences and work together for the common good. Now they're already quite comfortable with each other, so instead they're made to face their own demons. Between Scarlet Witch's mind games, and Ultron's indictments of their character, each Avenger questions whether or not they're monsters themselves. Their greatest fear is that their own decisions and failures could cause the end of everyone they know and love. "I don't know if I'm a monster, I wouldn't know if I was one." A lot of these films have destroyed towns and forgotten about the thousands likely injured or killed due to the films inevitable climactic battle sequences. Here, there's a conscious effort to show the people being taken care of. It hits on all the tough questions you expect these heroes to deal with. One of the primary being, should we sacrifice the few to save the many? However, a key component, this time around, is never sacrificing your morals, even in dire situations. It's an attempt to rise above the morally ambiguous nature we've come to associate with SHIELD (particularly in the second Captain America film). Marvel's films have had an uncanny ability to implant thought provoking metaphors, or even indictments, for the world's current state of being (particularly that of the US government). Ultron accuses Captain America of not knowing how to live if he weren't fighting a war. And Cap warns Stark, after they find out about the creation of Ultron, that people die every time we try to stop a war before it starts. Considering these preventative war efforts of creating an army of automated Iron Men, sky carriers, and now Ultron, the obvious overarching storyline is a warning. In our fear of the unknown, the possibility of war, we could create something that would destroy us. With all of these morally ambiguous experiments failing, we learn to work together and rely on ourselves and each other. Whedon keeps the film moving at a steady pace, there's never a dull moment. However, for a jam packed film, there's plenty of smaller moments as well. Often these moments give us insight into the characters, and they have fun with witty dialogue and in-jokes. The great chemistry and witty banter makes these scenes (particularly one in which they all take turns attempting to pick up Thor's hammer) some of the best in the film, and as entertaining as the bigger battle sequences. There's a real self awareness to the film. For example, Ultron sarcastically jokes about how he wanted to take the time to explain his evil plan (much the way movie villains tend to), and agent Barton (Jeremy Renner) in the heat of battle stops to address the situation with what's likely the best line in the film, "The city is flying, we're fighting robots, and I have a bow and arrow. None of this makes any sense!" It's not above seeing itself for what it is. Whedon shows a rare talent for staging huge, and yet still coherent, action sequences following a large cast of characters, all while giving each character their due. None of the original Avengers feel forgotten. And the two characters who've been support players in past avenger's outings (but haven't been given their own films) get a bit more attention this time around. However, lost in the mix are newcomers Scarlet Witch, Quicksilver, and even to a certain extent, Ultron. James Spader gives an admirable performance as Ultron, but there just isn't enough of him, and certainly not enough villainous deeds to make us fear him. Despite that, I think the film works overall. It's a tad light on those certain characters, but the ones that matter get their fair share. At some point we have to be willing to respect the art of a film that's this ambitious, and manages to entertain without asking us to shut off our brains, all while respecting characters that have been around for years. What's more fascinating is their ability to balance the darker elements with that of their more comedic elements. The Marvel team have been carefully setting up the events of this film, with their previous films, and there are likely nuggets within this film that will inform the next films as well. With these Avengers films, Whedon has managed to elevate the overcrowded action blockbuster with creative action sequences and smaller more intimate moments. They're cleverly written, strongly performed, and well put together. That's no small feat.